Looking for more information about Blue Holes? In this article we explain where to find 5 of the best Blue Holes you should dive when you get the chance to do so. Looking for the worlds "strangest" dive sites? We made a list of 5 of the strangest dive sites which can be explored by every scuba diver. 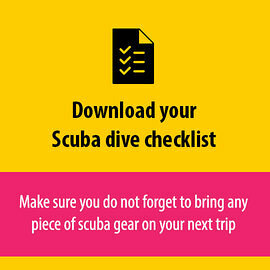 Would you like to learn more about shore diving? Shore diving basically means diving from the shore rather than from a boat. Are you looking for some unusual dive sites off The Beaten Track? How about Ice diving? or Kelp Diving in California? We summed up a few more.